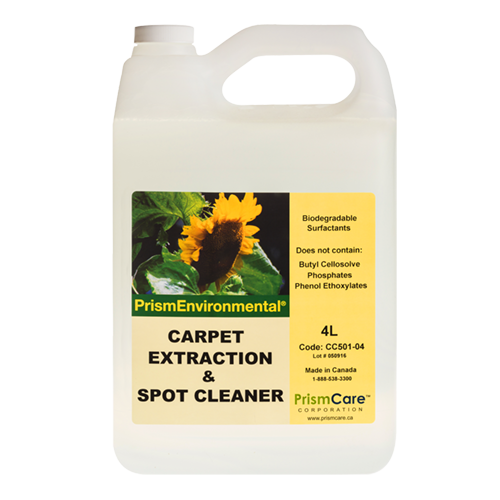 PrismEnvironmental® Carpet Extraction & Spot Cleaner is a highly effective product that offers superior cleaning power to handle tough carpet cleaning jobs with ease. All organic ingredients in this product are readily biodegradable. The product of choice for steam cleaning carpets, upholstery, and drapes. Excellent for use as a spot remover. It is non-combustible and does not contain butyl cellosolve, phosphate or phenol ethoxylates.